Budapest is, in my opinion, one of the most beautiful cities in Europe. 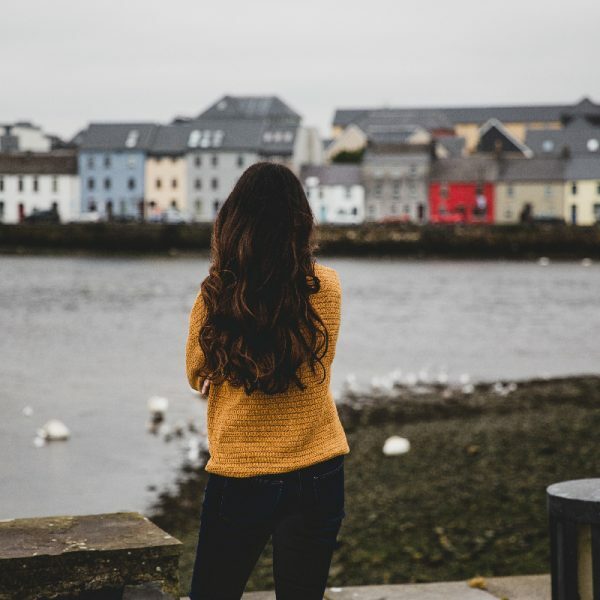 There are plenty of museums to visit and tourist attractions to see, but even taking a simple walk through the city will offer you some gorgeous sights. The city is split into Buda (historically the rich side) and Pest (previously the ‘poor’ side) and both parts have a lot to offer. In Budapest, everything is accessible by public transit and is incredibly cheap. I lived in Budapest for about 4 months. I saw the city in the Summer, Fall, and Winter, and I found out that the city is beautiful all year long but in different ways. 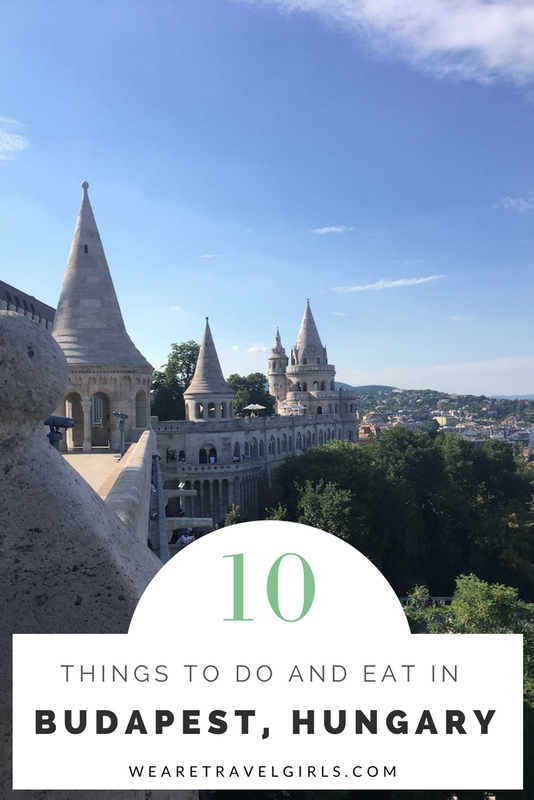 With this post, I wish to share my favorite spots in Budapest as well as some typical Hungarian food that you should not miss out on when visiting. 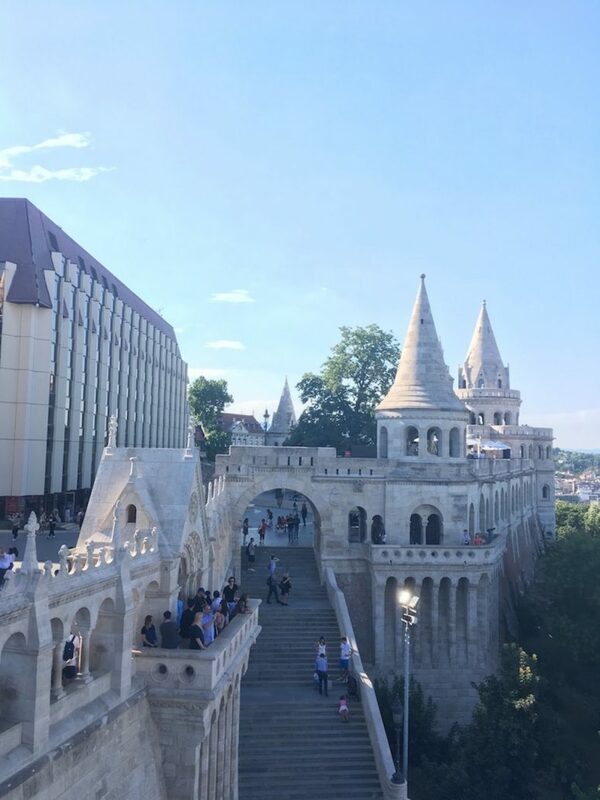 The Fisherman’s Bastion and the Matthias Church are right next to each other on the Buda side. The Bastion offers a panoramic view of the entire city, as well as the river Danube and the several bridges that cross it. Good to know: the Bastion is accessible for free most of the year, but you have to pay in Summer. You can choose to stay on the lower parts for free where you can still see the city and perhaps even have a drink in the Starbucks that is rights next to the Bastion. The best time to visit the Bastion is when the sun starts to set, as Pest is illuminated, and the view is mesmerizing. The Budapest Parliament truly is a sight to behold. It is the building you think of when you think of Budapest. It is an immense building atop a museum on a really clean place adorned by the national flag. You can walk all around the Parliament, see the “Shoes on the Danube Bank”, and admire the lights in the trees during winter. Margaret Island is an island on the River Danube connected to land by the Margaret Bridge (accessible on foot, by car or by tram). In summer there is a dancing fountain at the start of the island where people gather to enjoy the weather. 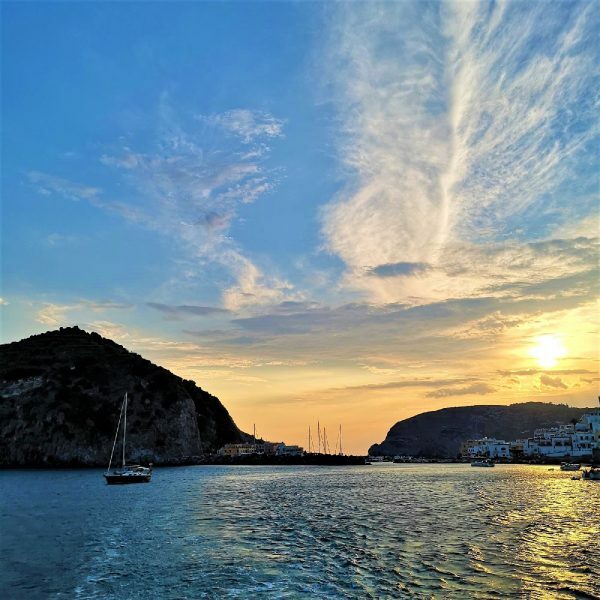 The island is the perfect place to run or take a stroll away from the bustling city. 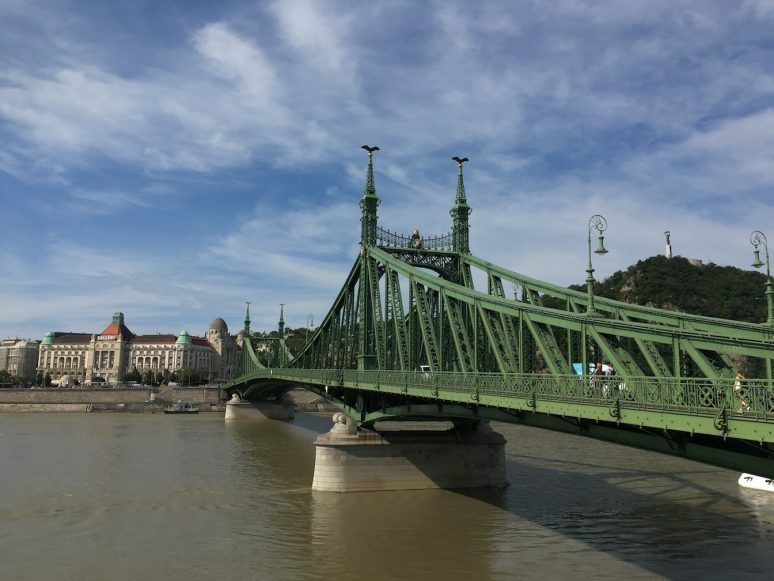 When walking along the Danube, you will encounter several impressive bridges, like the Elizabeth Bridge and the Liberty Bridge. These are built in typical Hungarian style (vertically) while the Margaret Bridge is built in a French style (flatter). Bot styles are gorgeous and offer good photography opportunities. Varosliget, or the City Park, is one of those places you can visit all year long. In summer it is a lovely place to take a stroll, enjoy the sun, or sit near the water. In autumn the trees are the perfect color for a colorful photoshoot. 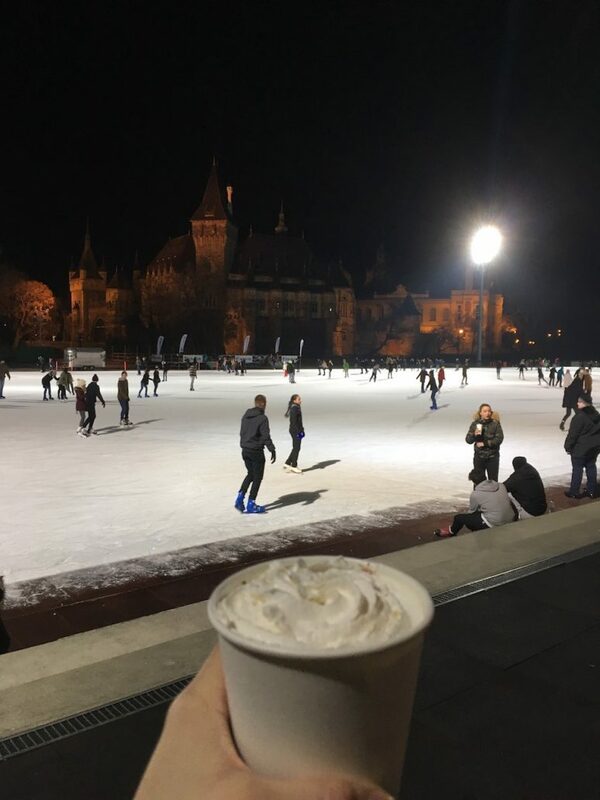 And in winter it is the perfect place to drink hot cocoa next to the ice skating rink. 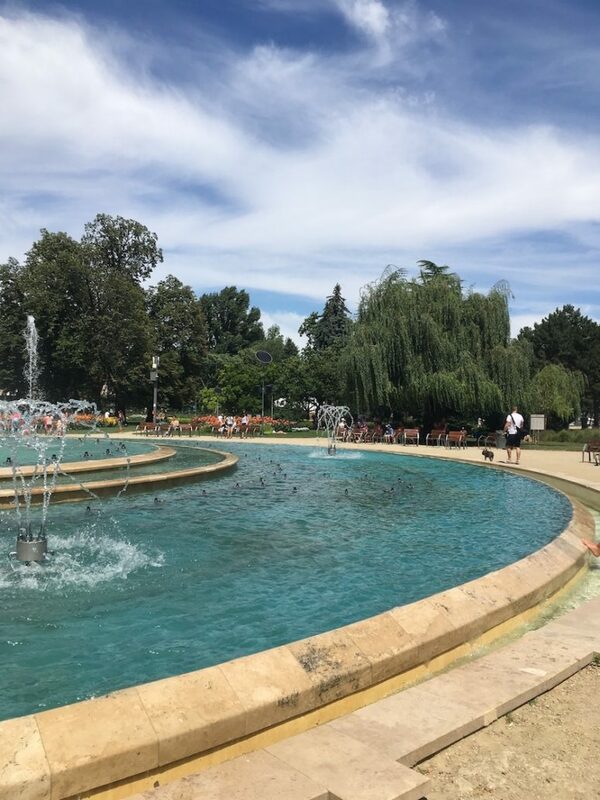 There are some restaurants in the park, but I do not recommend them as they are rather expensive compared to restaurants in the rest of the city. I can recommend, however, the lángos stand near the water (more on this later). 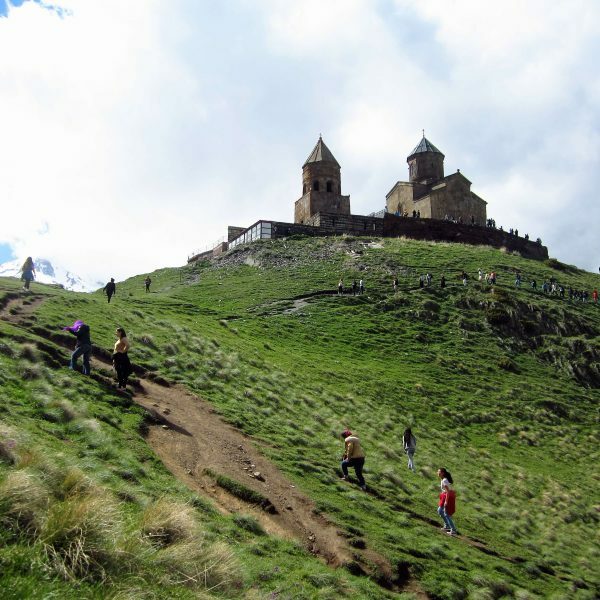 The enormous park houses thermal baths, a castle, and a zoo. In summer, you can rent a pedal boat, and in winter the lake is transformed into an ice skating rink. The ‘entrance’ of the Park is marked by the Heroes’ Square where the previous Monarchs of Budapest are depicted along with a statue of the angel Gabriel. The Christmas fair in Budapest runs the entire month of December. 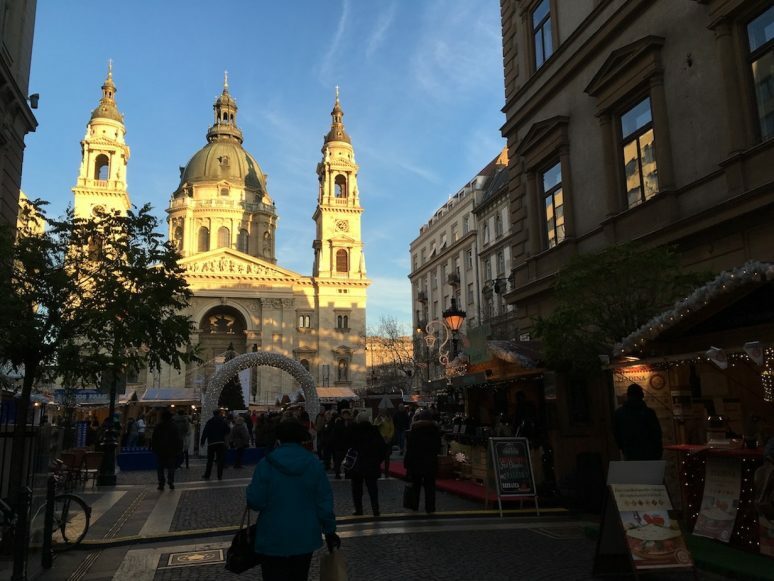 It expands across the city center at St. Stephen’s Basilica, around the Budapest eye, and Vorosmarty Square. Deák ferenc utca (the fashion street), is also completely illuminated and has a Christmas tree on display. The Christmas fair is made up of all kinds of stands where you can buy jewelry, Christmas decorations, art, food, etc. On Szent István tér (the square in front of the basilica) there is a big Christmas tree from where string lights are hung and around which a small ice skating rink is placed. On the basilica itself, a light show takes play every half hour or so. 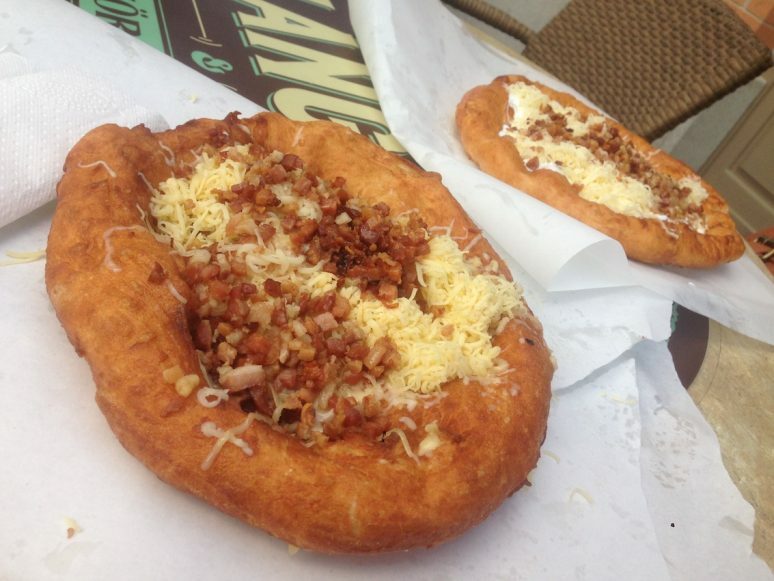 Lángos is a typical Hungarian dish. Usually, it is a churro-like doe covered with sour cream, bacon bits, and shredded cheese, but you can also choose to add more things to it. It is quite a hearty dish, so if you are not a big eater you might want to share it with someone else. Lángos is normally street food, but some restaurants serve it. Otherwise, I can recommend the lángos stand in the city park near the water on the side of the zoo (Állatkerti krt.). You can see it on google street view, but it has changed a lot since then and is more aesthetically pleasing now. The price varies depending on what you want on your lángos, but on average 5 USD should suffice. You can also find sweet lángos in the Great Market Hall (Vámház krt. ), but I would otherwise not recommend eating there as it is a tourist trap. Kürtőskalács, also called chimney cake, is a delicious Hungarian pastry. You can eat it as is, but you can also find a couple of places that will fill a cone up with ice cream for you. You can find regular Kürtőskalács on Blaha Lujza tér (about 300 HUF or 1 USD), in Kazinczy street, and other places. 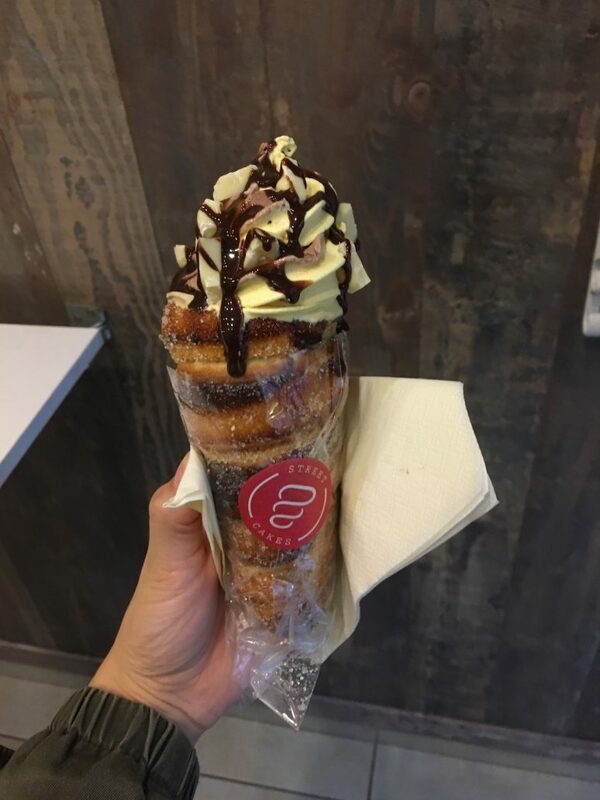 If you want to really treat yourself, you can go to Street Cakes, where you can spread Nutella on your cone, fill it with any ice cream you want, cover it with chocolate sauce and much more. Mr. Funk is a donut shop that is connected to Ms. Bagel. They offer an array of funky donuts. 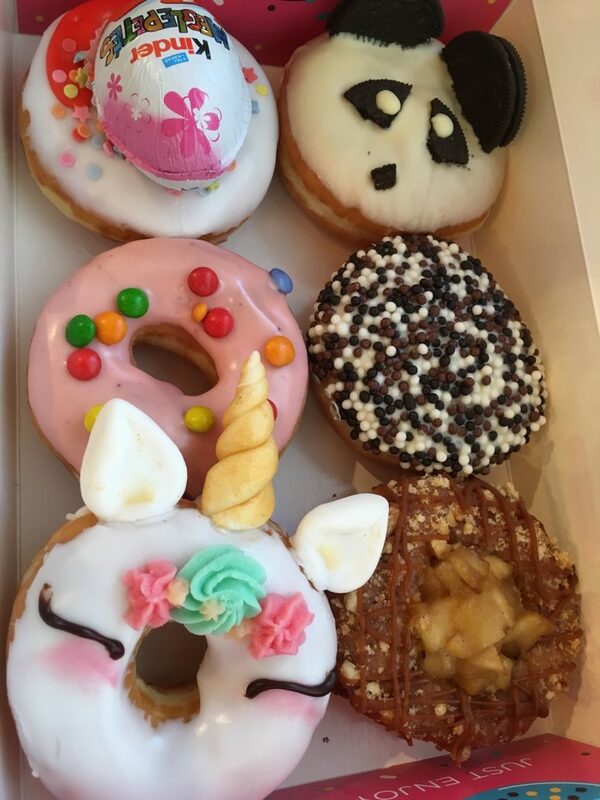 You can see a selection of their donuts on their website, but they also offer seasonal donuts. To satisfy your sweet tooth, you should definitely hop on by. They are on the expensive side when compared to other restaurants in Budapest, but they are delicious treats that are worth the splurge. Túró Rudi is a Hungarian treat you can find in any supermarket’s dairy section for about 100 Forint (0.35 USD). It is a bar of cream cheese enveloped in dark chocolate. This mix seems strange at first, but the taste is sweet and soft. 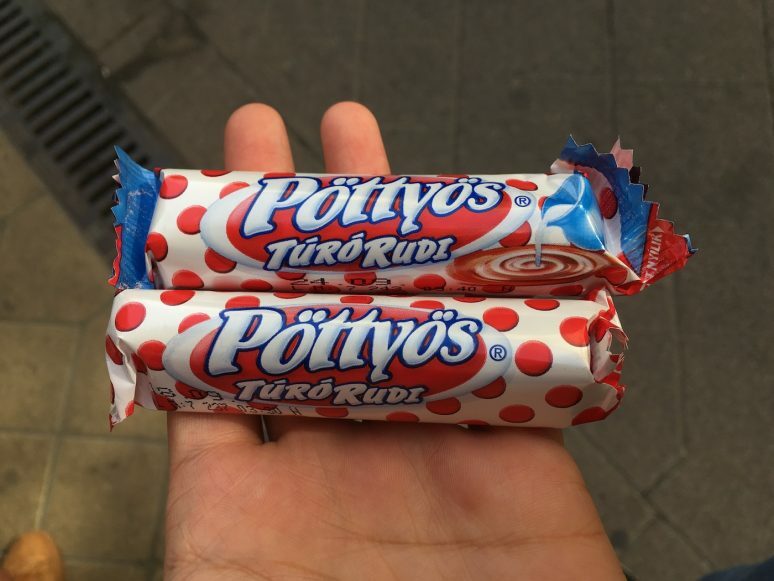 You can find Túró Rudi with milk chocolate or any kind of fruit inside. 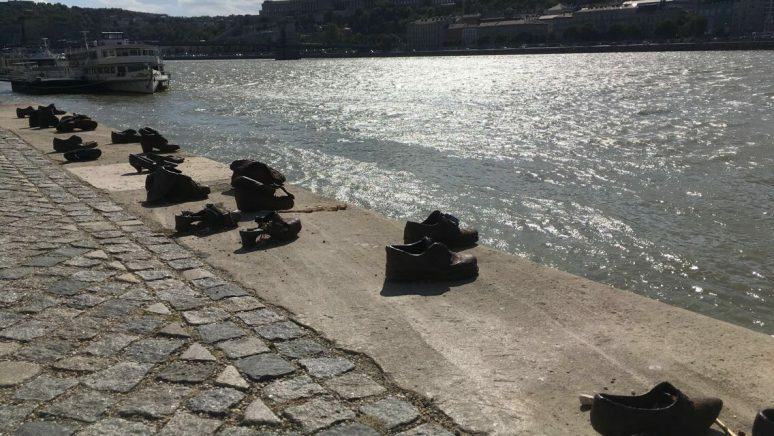 In summary, I highly recommend everyone to visit Budapest at least once in their lives. The city is beautiful, the food is delicious and varied, life is cheap, and the people are friendly. 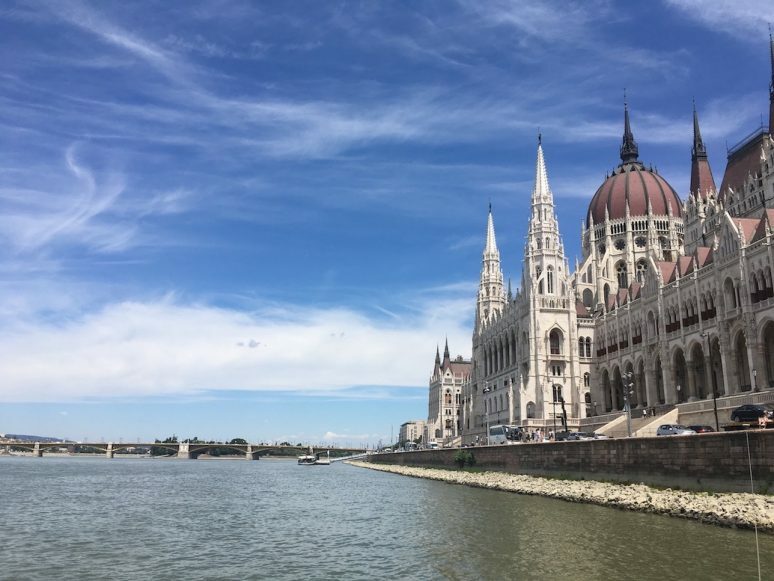 I hope this post and my pictures motivates travel-lovers to make a stop in Budapest! Have you ever been to Budapest? If you have any additional tips for our readers or questions please leave these in the comments below.